Compatible with all versions of Apple Watch 38 mm (2015, 2016 and 2017 Release). Allows full access to touchscreen, camera, buttons, and ports. Not compatible with Apple Watch 42 mm models. Designed with device defense and style in mind, the Unicorn Beetle Pro series is the perfect choice for your Apple Watch. Made specifically with the 38 mm Apple Watch in mind, the UB Pro won't interfere with any features, buttons or overall functionality of the device. 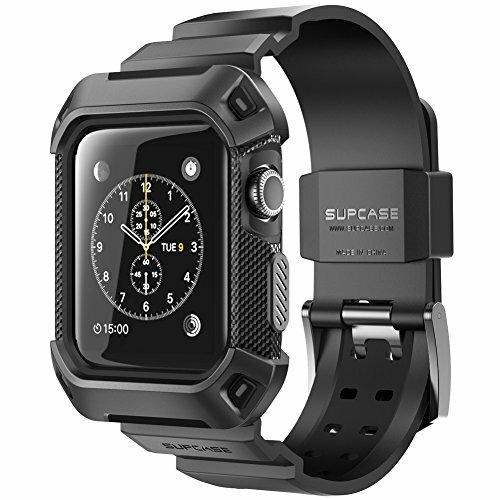 1x SUPCASE Unicorn Beetle PRO Rugged Protective Case for Apple Watch 38mm.